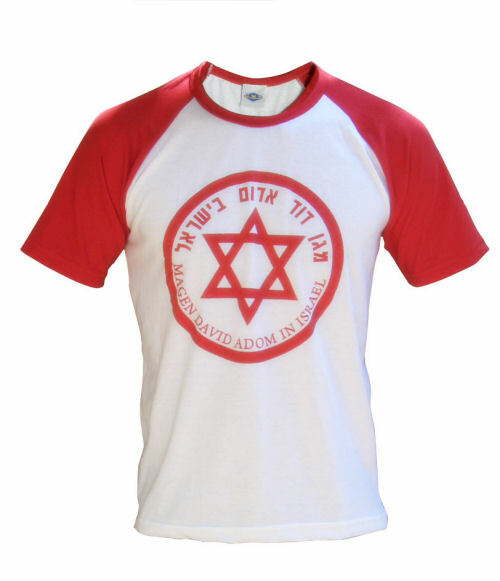 Israel Magen David Adom T-Shirt. This t-shirt brings home the Israeli feeling of defiance, standing up against all odds. The Israeli armed forces have been and continue to be a source of pride and comfort to Jewish people the world over, in the knowledge that today there is a military force ready to protect the Jewish people from harm, after such long suffering throughout Jewish history. This is why many people enjoy collecting these items, as each one represents the people who have carved their way to victory on the battlefronts of the middle east in order to protect the citizens of Israel. In today's day and age, we realize that the human spirit and the media are even more formidable weapons than armor, however, without this army, there would be no chance for the Jewish people to survive on the small piece of land that they occupy, and this in itself is a great miracle.